New research report “Travel and Tourism in South Africa, Key Trends and Opportunities to 2016” worked out by Timetric has been recently published by Market Publishers Ltd. The report reveals that last year South Africa's travel and tourism industry contributed 4.8% to the national GDP and 4.3% of the country's total employment. In 2011, South Africa was the second-leading destination on the African continent with respect to the total number of inbound tourist arrivals and ranked fifth globally in terms of tourism growth. South Africa's travel and tourism industry contributed 4.8% to the national GDP and 4.3% of the country's total employment last year. Owing to South Africa's growing economy, government initiatives and the development of tourism infrastructure, the country’s tourist volume is expected to grow over the forecast period. With the support of the Ministry of Tourism and, in particular, its National Tourism Sector Strategy (NTSS), South Africa has the potential to become one of the top twenty global tourism destinations over the next decade. New research report “Travel and Tourism in South Africa, Key Trends and Opportunities to 2016” worked out by Timetric has been recently published by Market Publishers Ltd. The research report offers an extensive analysis of the travel and tourism market in South Africa. It details historical values for the country’s travel and tourism industry for 2007–2011, along with forecast figures for 2012–2016; provides top-level analysis of the overall market, as well as individual category values. Furthermore, a granular analysis and projection of tourist spending pattern in South Africa and profiles the top travel and tourism companies in South Africa can also be found in the review. 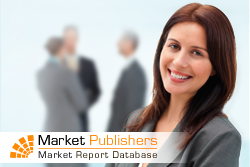 More new market research reports by the publisher can be found at Timetric page.